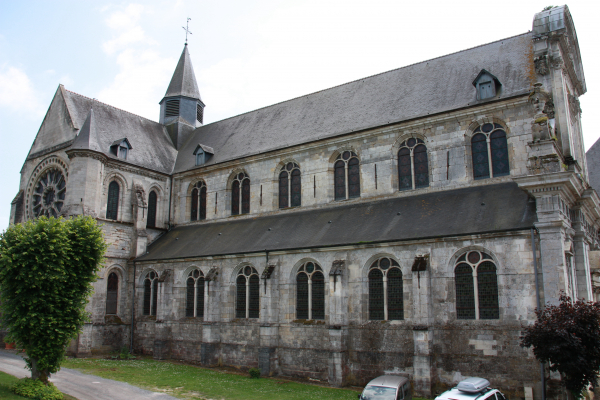 The former Benedictine monastery of St. Michel en Thierache is one of the mediaeval gems of Northern France. Founded in 7th century, it flourished first during the 11th-13th, and then in the 17th-18th, centuries. 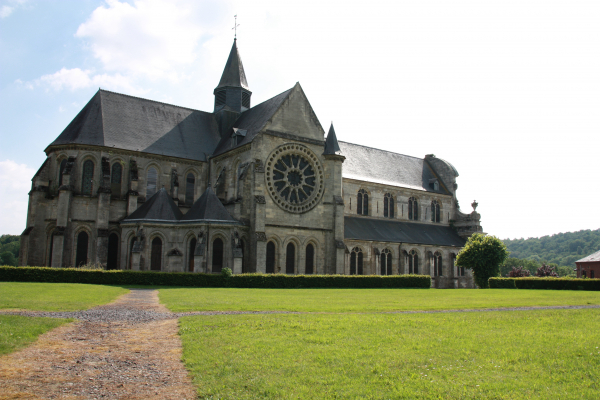 During its history, the abbey was damaged several times by fire, the last time in 1971. 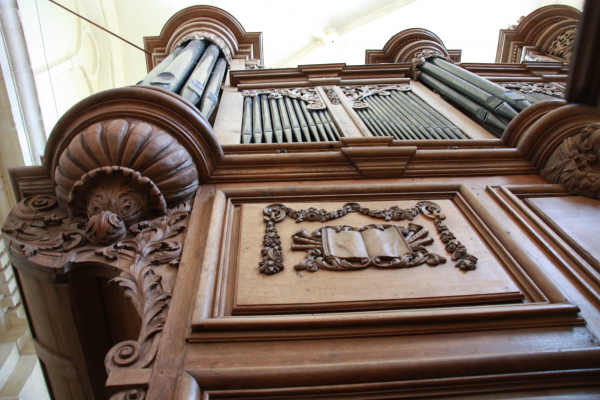 Fortunately, the organ was dismantled for reconstruction at that time, so it escaped destruction. It also escaped damage during previous fires, the French revolution, and the First World War. 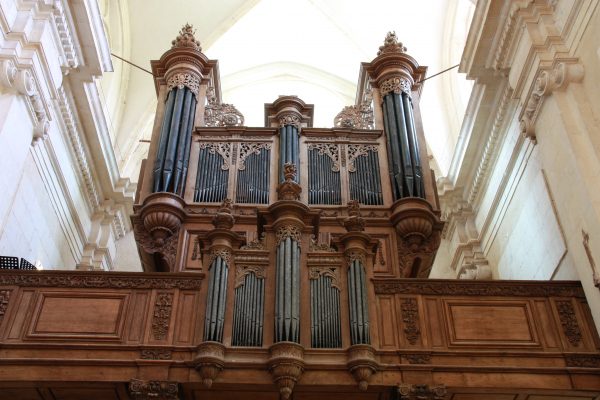 Because of this almost miraculous history, the instrument built by Jean Boizard in 1714 is believed to be one of the rarely preserved instruments representative of the era of Louis XIV. 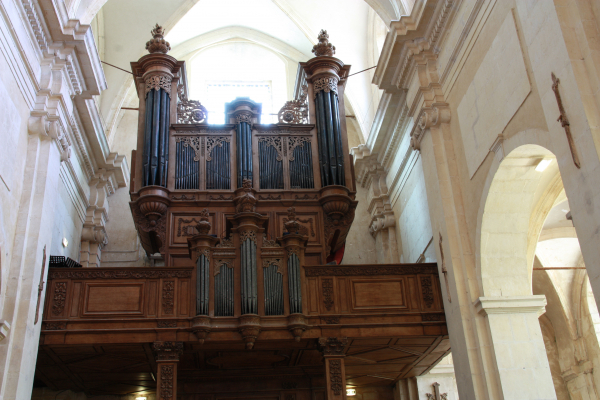 It perfectly expresses the language of the French organ of the late 17th century, of the so called Grand Siecle period. 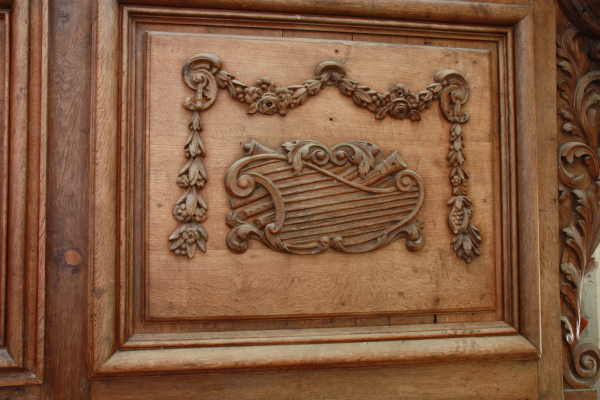 This type of organ is different in important details from the design of the French organ during the Enlightment of 18th century (e.g. Dom Bédos, fr. Isnard etc.). The organ was restored to its original state during the seventies in the workshop of Haerpfer and Hermann; the inauguration of the newly restored instrument took place on 24th September 1983 by André Isoir. 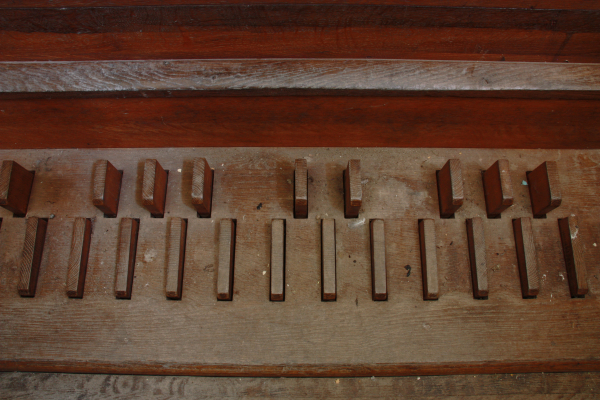 The specification of the stops is identical to the 1714 instrument and also the pitch was retained (about one tone below the modern pitch). 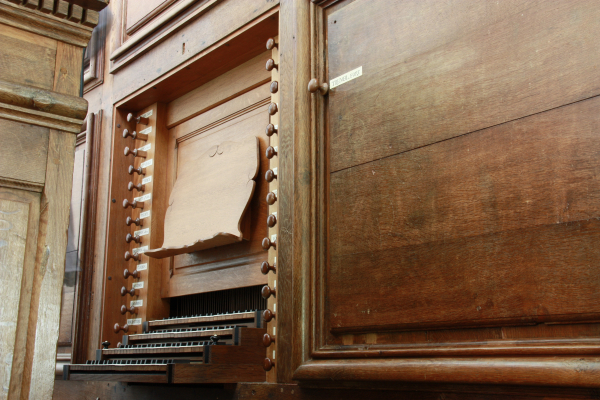 Since 1990, the organbuilder Georg Westenfelder is responsible for the maintenance of the instrument. The instrument is composed of the Grand Clavier based on an 8-foot Montre, and the Positif based on a 4-foot Montre. The third manual is the Recit with a solo cornet, and the fourth manual is the Echo, which contains an echo cornet stop. 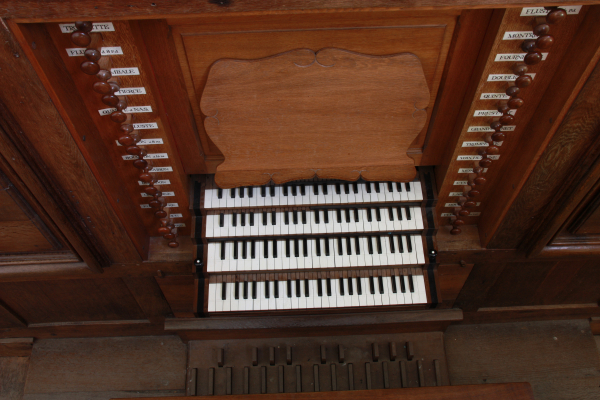 In total, the organ has four manuals and a pedal with a total of 31 speaking stops. 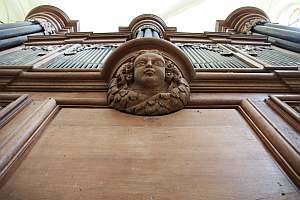 The organ is known for its exceptionally beautiful flutes (in sound almost "water transparent"), colorful reeds, and warm principals. The pedal is coupled permanently to G.O. (in Hauptwerk, this coupler is visible and can be switched off or on). The samples are offered in 24bit/48kHz quality; multiple releases (3 levels) and occasional multiple attack samples are used. Hauptwerk v.4 and higher supported. The reverberation time is about 4 seconds. The sample set is presented in the surround version. The surround version can be used for emulating the wet sample set as well (by muting the rear ranks). The sample set requires Hauptwerk version 4 and above. The compass of the manuals is 4 octaves without the lowest C# (this tone was added virtually in our model). The pedal compass is 2 octaves without the lowest C# (also added virtually). The extension of manuals and pedal compass is offered in the virtual organ model. 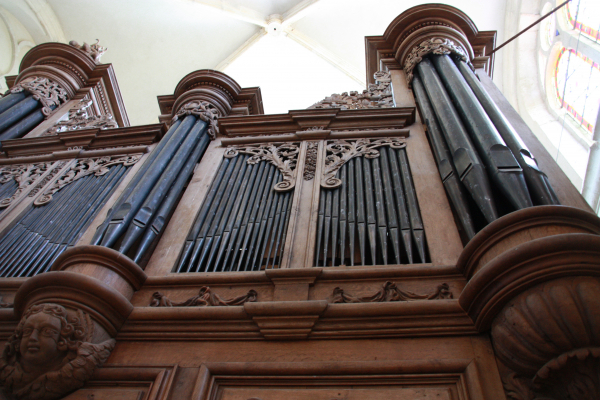 The organ is tempered to a rather harsh meantone temperament and it is pitched about a tone lower than the modern pitch. When recorded, its heigth was about a=392 Hz. 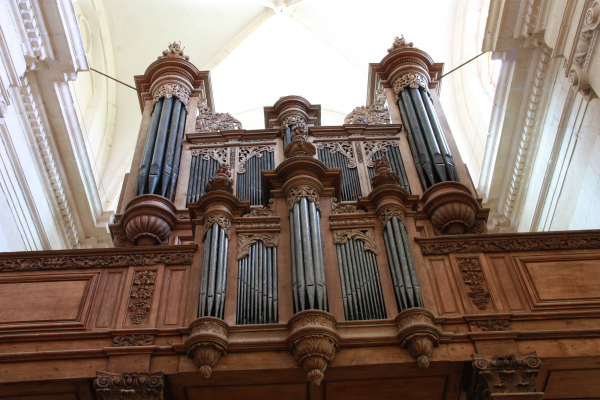 Althought the “Original Organ Tuning” is availabe in Hauptwerk, it will not work with the extended compass of the manuals and the pedal. Instead, consider using the dedicated St. Michel temperament chart which will be installed together with the sample set. This temperament chart also features the original tuning of the instrument, while repitching the extended keys perfectly. Version 1.20: cumulative update. A number of minor corrections to pipe speech, several most mistuned pipes in Fournitures and Cymbale substituted to be in tune. St. Michel en Thierache, Surround variant including Wet. Do not load in 16-bit!